Rare Disease Day is an observance held on the last day of February to raise awareness for rare diseases and improve access to treatment and medical representation for individuals with rare diseases and their families. The awareness-raising event coordinated by EURORDIS at the international level and by National Alliances and Patient Organizations at the national level. "The main objective of Rare Disease Day is to raise awareness amongst the general public and decision-makers about rare diseases and their impact on patients' lives. We encourage every single one of You to participate and help raise awareness about porphyria. We together are making a big difference in educating the public and medical professionals about the disease and helping each other to overcome the difficulties with a smile and enthusiasm. Be proactive and be heard! You are welcome to attract as much media attention as possible. Ask your local newspaper or community newsletter to include a story about you and porphyria or just write an article on your experience or change your profile picture on facebook. You can be involved in any way that works with your schedule, resources, community, and interests! My daughter Rebekah has Erythropoietic Protoporphyria. We live in the Grand Rapids, MI area. Rebekah was about 13 months old when she first started having symptoms. We were staying at a summer cottage on Lake Michigan. I put sunscreen on her and we went outside to play in the sand and swim. Late that afternoon she got real fussy, and by evening she was screaming and crying. We thought she was overly tired and gave her some Motrin, but she didn't sleep at all that night. In the morning, Rebekah's face and hands were swollen and red. We could not make out the bridge of her nose because of the swelling and she couldn't open her eyes or move her fingers. I called Rebekah's pediatrician and he wanted to see her right away. At first, her doctor thought she was having a reaction to the sunscreen I had used, so we tried another kind and went back to the beach! Again, Rebekah started screaming and crying, and we tried everything to calm her down. After several weeks and trips to the pediatrician with no answers, we asked to be referred to a dermatologist. She took one look at Rebekah and knew-Dr. Patel had seen a case of EPP during her residency training-how lucky for us! After the blood work came back, Dr. Patel explained what EPP was, started Rebekah on Lumitene and found the American Porphyria Foundation for us to join. Rebekah is now 10 years old and deals with her EPP very well. Usually in the spring she gets frustrated, wanting to be "normal" so she can be outside with her friends and go on school field trips. She usually helps in the school library or office instead of going outside at recess. Fortunately, the children at her school are very supportive and protective of Rebekah-the other kids even tell me when I help out at the school if Rebekah has been outside without here hat or without sun screen. Because Rebekah didn't remember her first bout of EPP, she wanted to see if it would happen again, so we let her go out for a very short period of time. That evening the burning started, her hands and face turned red and puffy and she was in a great deal of pain. Now she understands the seriousness of her condition. We have learned what works to protect Rebekah by trial and error. Even if the sun isn't out, rays can still come through-when sitting in the shade while going fishing, the sun reflects off the water, and in the winter it reflects off the snow-not a good thing! Riding in the car without tinted windows or sitting in the house in the sun light can also cause Rebekah's EPP to flare up. We have shared educational material and the APF DVD with our physician and the clinical staff, and with our family. The APF has been a great resource and support for us. "If it isn't Porphyria, What is it?" This is a question we hear almost every day at the APF. Many people who think they have Porphyria, find out that they have been misdiagnosed, particularly when they were diagnosed with acute porphyrias using porphyrins for screening instead of PBG or ALA as indicated. Therefore the APF is part of a committee which helps address the needs of this group of un-diagnosed people. Recently, the NIH program for the un-diagnosed held a webinar to give guidance to this group of un-diagnosed patients. Read about this program: http://www.genome.gov/27544402 and enroll to have your condition diagnosed by a group of trained clinicians. Also if you are currently un-diagnosed with one of the Porphyrias but have a relative that has a diagnose we have a study that you may be qualify for please email me Amy.apf@gmail.com with your Name, Phone Number. I will call you back ask a few questions to see how we can help you. Research Studies- Can you Participate! Below are some wonderful questions about volunteering to research studies, if your interested please email me at Amy.apf@gmail.com, look below to see all the studies that are happening now and future. Each study summary provides a list of hospitals or clinics where the study is being run. Using the contact information provided, you may contact any of these facilities in order to request participation in information about participating in a study. The Rare Diseases Clinical Research Network will make every effort to enroll all the patients we can, but we cannot make any guarantees that we will be able to enroll everyone in a particular study who wants to participate. A balanced diet that provides all essential nutrients is important for everyone. Otherwise, only a few specific dietary recommendations are justified for types of porphyria other than the acute Porphyrias. 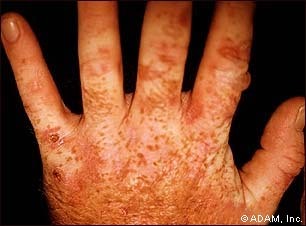 ALAD porphyria (Porphyria due to a deficiency of 8-aminolevulinic acid dehydratase). Effects of diet on this extremely rare condition have not been reported. However, because it bears some resemblance to the acute porphyrias, at least some of the same nutritional considerations may apply. Congenital Erythropoeitic Porphyria. Diet does not appear to play a specific role in this rare condition. The excess porphyrins in this rare condition originate from the bone marrow. The heme biosynthetic pathway in the bone marrow seems to be much less sensitive than in the liver to changes in carbohydrate and energy intakes. Because patients with this condition may be severely ill, however, their diets may be inadequate. Such nutritional deficiencies should be prevented because they may contribute to anemia and other manifestations. Porphyria Cutanea Tarda. Even though porphyrins in this condition originate from the liver, carbohydrate and energy intakes have not been described as major determinants of disease activity. However, excess iron and alcohol are clearly important. Alcohol and iron supplements should be avoided. Restriction of dietary iron is usually not necessary. Erythropoietic Protoporphyria. Excess protoporphyrin in this condition originates primarily from the bone marrow, which as noted above is not highly sensitive to changes in energy and carbohydrate intakes. The bone marrow is sensitive to iron deficiency which, therefore, should be prevented by assuring an adequate intake of iron. Iron supplements should probably not be given unless laboratory tests for iron suggest that stores of this mineral are low. Occasionally, the liver seems to contribute significantly to excess protoporphyrin production in Erythropoietic Protoporphyria and there can be significant liver damage. For this reason, patients with this condition may be advised to follow dietary recommendations similar to those for patients with the acute forms of Porphyria. Back by Popular Demand and a follow up to Yesterdays post. The following are general recommendations that may not apply to all patients with acute Porphyria. Individual nutritional needs vary and are affected by the nature and severity of a disease. Therefore, a physician should be consulted and the advice of a dietitian sought before implementing dietary recommendations for a complex medical condition such as Porphyria. Other recommendations may need to be added or substituted to meet the needs of an individual patient. Nutritional recommendations for Acute Intermittent Porphyria, Hereditary Coproporphyriaand Variegate Porphyria emphasize a high carbohydrate intake as part of a balanced diet that provides all essential nutrients. The recommendations include an adequate intake of dietary fiber, vitamins and minerals. The goals are to prevent acute attacks of Porphyria that may be related to diet, avoid deficiencies of nutrients, and maintain a normal body weight. Protein intake should follow the US RDA (Recommended Daily Allowance). This may be increased in elderly subjects, and reduced if there is kidney impairment. Salt intake need not be restricted unless it is important for controlling hypertension. The management of hypertension (high blood pressure) may include salt restriction. This is not discussed here because most patients with Porphyria do not have persistent hypertension. Foods contain many natural chemicals that can stimulate the heme biosynthetic pathway. Although none have been definitively linked to attacks of Porphyria, the possibility that these chemicals might contribute should be kept in mind especially when attacks of Porphyria recur in the absence of a definite inciting factor. Some of the dietary factors that might have an adverse effect on Porphyria include charcoal-broiled meats (which contain chemicals similar to those found in cigarette smoke), and high intakes of protein. Probably, none of these foods need to be completely avoided in Porphyria. However, it is important to consume a well-balanced diet and not to consume any particular type of food in excess. The best way to maintain a well-balanced diet is to learn to eat a variety of foods from what are commonly referred to as the four major food groups. Detailed advice on how to do this should be sought from a dietitian. Sometimes patients with acute porphyria have symptoms such as profound weight loss, recurrent vomiting, and eating attitudes that suggest "eating disorders" such as anorexia nervosa or bulimia. Usually these symptoms are due to porphyria itself and do not represent a primary eating disorder. However, mild forms of eating disorders are common, especially in young women, and are difficult to recognize. Mild forms of eating disorders may have few consequences in healthy individuals. However, the effects can be profound when combined with a medical condition that is sensitive to changes in diet. For this reason, the study of eating behaviors has become important in a number of diseases such as diabetes, cystic fibrosis and inflammatory diseases of the intestine. There have been few studies so far in porphyria. Eating behavior is assessed not only by determining the dietary intake of a subject, but also by assessing eating attitudes and habits. This is done with questionnaires that are different from those used to assess dietary intake alone. It is likely that these assessments will become increasingly useful for the management of porphyria in the future. For the present, physicians familiar with eating disorders and dietitians may be most likely to recognize abnormal eating attitudes and behaviors that may contribute to attacks of porphyria. My name is Alicia Moczynski and I’m 22 years old. I had my first porphyria episode at age 2. However, as a child, my episodes were infrequent and mild. It wasn’t until I turned about 16 that I started getting frequent episodes that got worse and worse over time. No one in my family has porphyria, and the doctors could never diagnose me. I just accepted the fact that I would never find out what is wrong with me. Then when I turned 21 (May 2012), I had the worst episode ever. Not only were my face, hands, arms, and legs swollen, my stomach was also in a lot of pain, and I had jaundice. I went to the emergency room and received a misdiagnosis of Hepatitis A. The doctor said, Hepatitis A heals on its own, and I should just give it time. However, I never truly recovered and was bed ridden for about 3 months. It took me a couple of months to make my decision, but I finally decided to have a bone marrow transplant. So on October 15, 2013 I received my transplant from an unrelated donor from Denmark (I have two sisters and they were unfortunately not a match). I will not lie; a bone marrow transplant is hard. I had to go through chemo, I was very weak, and I needed a caregiver 24/7. Now almost 4 months have passed. I have gained a lot of my strength back, and I feel really good. My road to recovery is still not over, but the thought of never having an episode again is really amazing. I’m also very blessed to have such a great donor who was willing to help me, even though she has no idea who I am. Welcome all new members to the American Porphyria Foundation Face Book Sites were so happy to have you join with us. Here are some brief facts about Porphyria. We invite each and every one you you to become a member of the APF Foundation today by giving them a call with any questions you may have we have many research programs going on now, we have a wonderful newsletter, database of Doctors if you would like to see how you can participate in becoming a member please call Yvette @ 866-APF-3635. Also if you have any questions please visit us on the web at porphyriafoundation.com to get the latest information about your porphyria type, testing and current events. New Find A Doctor Feature! We are excited to announce the New feature located on the left side of the APF Website for your convenience. The APF maintains a list of over 2000 physicians, who are either experts or are educated about porphyria to varying degrees. The list has been created to assist porphyria patients in locating physicians in their area. Please note that the list is updated frequently, so check it often or contact the APF for additional physicians. To use the list, first locate a city nearest you. For the doctor's name and contact information in your area, call the APF: 1.866.APF.3635.